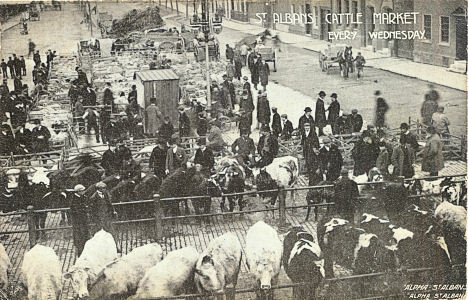 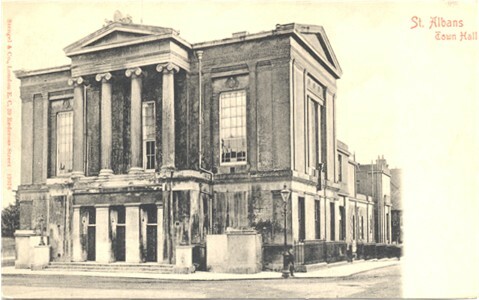 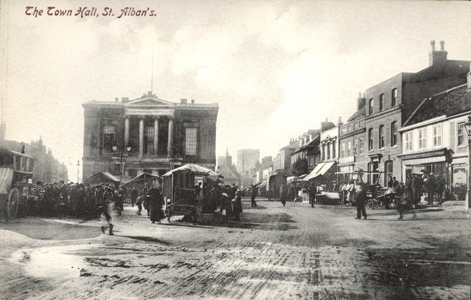 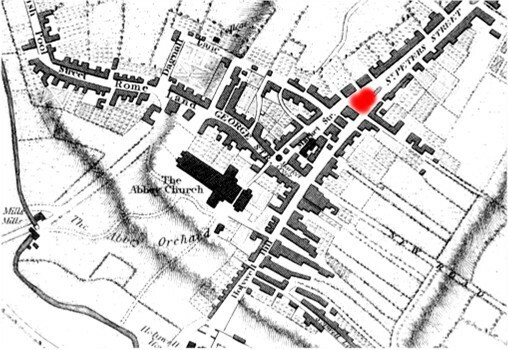 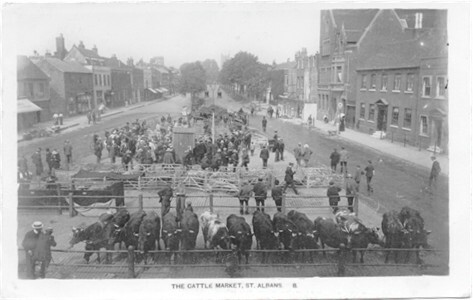 For centuries the livestock market was held in the lower end of St Peter's Street. 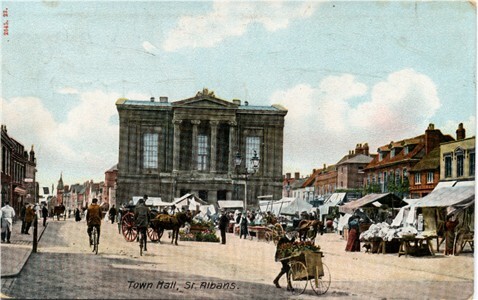 This view is taken from the balcony of the Town Hall. 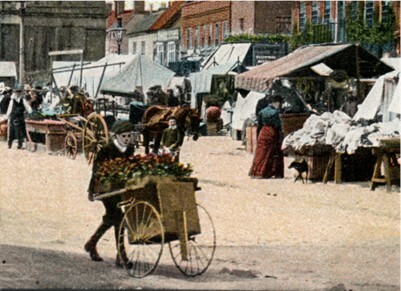 The Lower End of St Peter's Street showing how the regular market had spread beyond the Market Place. 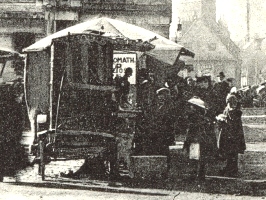 Is the tall narrow wheeled "box" next to the stall a Punch & Judy Show? 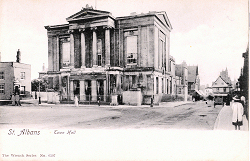 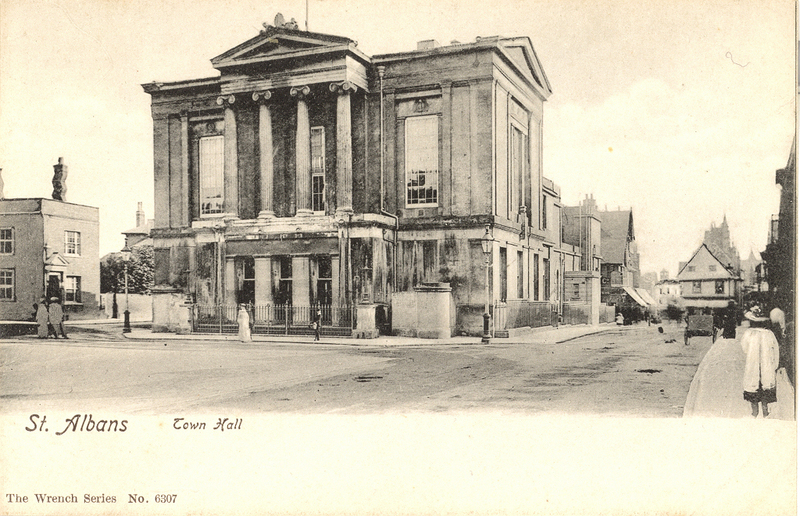 Hold mouse over the picture for publication details of postcards.